6pm-11pm: Gates open for early arrival and setup. You may be charged a Thursday-only camping fee by the track should you stay. 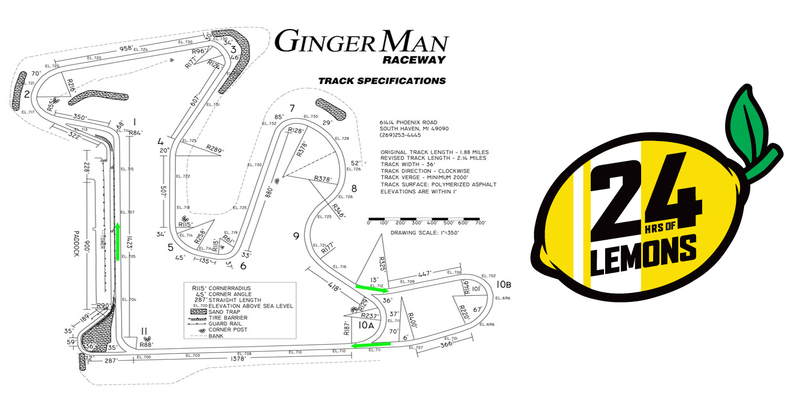 9am-5pm: Gingerman hosted test day. $TBA per car. (Signup Link TBA) Testers must pre-register. 1pm-5pm: Mandatory Friday tech inspection. Every car and at least one driver per team must be present for Friday tech. No Saturday tech will be offered. 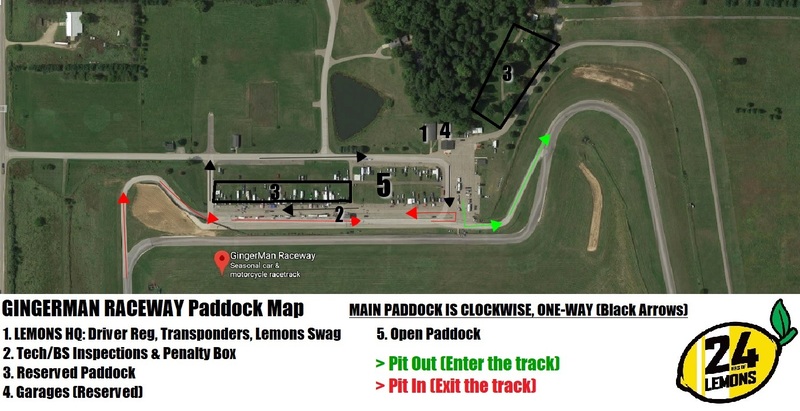 Vehicle restrictions: Except for street vehicles coming to or leaving the facility, no motorized vehicles may be used on track property from one hour after the checker/on track running until sunrise. No firearms or fireworks may be used on track property. No "razor"-type scooters allowed ever.